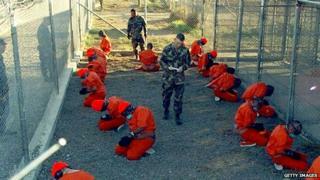 CIA interrogations: 'No place' for psychologists? In the wake of last week's US Senate Intelligence Committee's report detailing the ways the CIA interrogated detainees, one group in particular has come under fire - psychologists. The report documented that two former Air Force psychologists were paid about $80m (£51m) to create and monitor the agency's "enhanced interrogation" techniques. The 6,700-page report was the result of a five-year investigation and brought to light some of the agency's most brutal interrogation methods, including ice baths, rectal "rehydration", mock burials and threats to detainees' families. Jim Mitchell and Bruce Jessen, the two psychologists, are referred to in the report by the pseudonyms "Grayson Swigert" and "Hammond Dunbar". They had no experience in real interrogation and no expertise with al-Qaeda, qualifying for the job based on their work preparing members of the military against torture through mock interrogations. The pair reverse-engineered the now-famous waterboarding technique, as well as certain stress positions and sleep deprivation. Informing this type of interrogation was a decades-old theory of "learned helplessness", or the loss of a person's control over their life. In its truest form, learned helplessness posits that exposing subjects to such distressing conditions that they become completely compliant. In a written statement after the Senate report's release, the CIA defended hiring the two psychologists, citing the need for their "unique expertise". The Associated Press' Ken Dilanian spoke to Mr Mitchell, who because of a secrecy agreement could not confirm his involvement with the CIA. The psychologist did say that that enhanced interrogation is much more ethical than what he sees as the current alternative. "It's a lot more humane, even if you are going to subject them to harsh techniques, to question them while they are still alive, than it is to kill them and their children and their neighbours with a drone," he said. For many, the extent of these psychologists' involvement in the program has been shocking. In a letter to the New York Times, president of the American Psychological Association Nadine J Kaslow said she was outraged with Mr Mitchell and Mr Jessen's actions and hoped to see them held accountable. "There is no place in the field of psychology for people who are not respectful of human dignity and committed to human rights," she said. Image caption The CIA says it relied on two psychologists to develop its interrogation programme because of their "expertise"
The Times editorial board weighed in on Wednesday, calling the revelations about the psychologists's involvement "ghastly" and the science behind the interrogation techniques "ludicrous". "Healthcare professionals who engaged in or abetted torture should have their professional licenses revoked and, depending on the degree of culpability, be prosecuted criminally," the editors write. The Verge's Arielle Duhaime-Ross says it seems highly unlikely that the pair will be punished. Plus, she said, even if they were, it wouldn't fix the source of the problem. She talks to New York University bioethicist Arthur Caplan, who says there needs to be clear guidelines about what is and isn't acceptable when health professionals work with military or intelligence organisations. "It's time to give clarity to people who are trying to be patriotic," she quotes Caplan. "Healthcare workers need to know their limits. And if they don't, we need to do something about that." Stephen Soldz, a professor of ethics at the Boston Graduate School of Psychoanalysis and co-founder of the Coalition for an Ethical Psychology, spoke with Vice's Jules Suzdaltsev about the Senate report and was similarly disturbed by the way Mr Mitchell and Mr Jessen used psychology in their work. He said that beyond the basic ethical problems that go along with these types of interrogation tactics, they are a violation of the "do no harm" code to which all health professionals are held. But, he added, that doesn't mean that there aren't good ways to use psychology in interrogations. "I mean, good police do it all the time," he said. "You know, people try to get information from people who don't want to give it all the time, and that's ethical. But torture involves the deliberate infliction of harm in the process of trying to get that information." And for some, that's exactly the problem. It's not that psychology was used in the first place; it was that it was used poorly. Throughout the 1990s, the CIA's codes of conduct read: "Inhumane physical or psychological techniques are counterproductive because they do not product intelligence and will probably result in false answers." Christian Meissner, a professor of Psychology at Iowa State University, writes for the Week that his research seems to show that science definitely has a place in making interrogation more effective. He says the types of techniques detailed in the report are "ethically indefensible" and not backed up by scientific proof. Instead, he writes, all evidence says that methods that build rapport and understand a suspect's motivation are much more effective. "Medicine and education have turned to researchers for the development of evidence-based approaches," he writes. "It is time that the practice of interrogation be similarly informed by scientific scrutiny."